When it comes to romantic things to do in New York City there is no shortage of special experiences to share with your loved one. 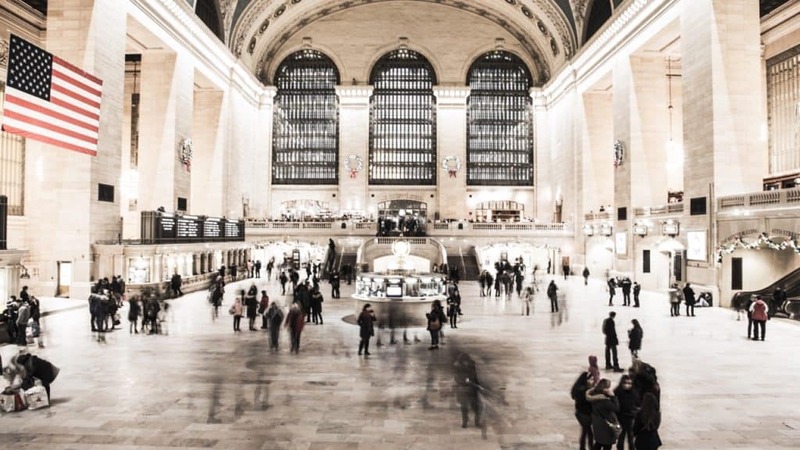 It can feel a bit overwhelming to narrow it down to one thing so today we share some of our favorite things to do on the weekend in NYC. The best part is most of these experiences are cheap things to do in NYC. On entry level wages in New York, we were able to save $50,000 in a year to travel the world and check off all of these things off the list. 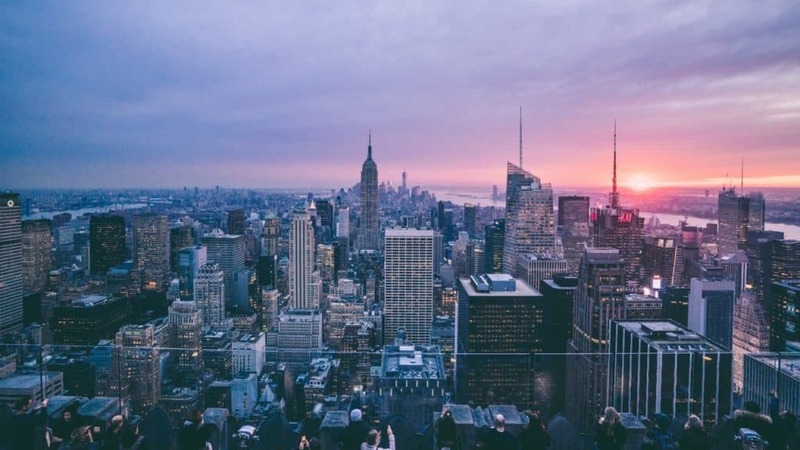 While it might be a stretch to call ourselves New Yorkers it is safe to say we know the city pretty well as former residents. The Lincoln Center is definitely one of the most romantic spots in NYC and home to some of the world’s best performers. A night at the Metropolitan Opera House is highly recommended as world-class talent and impressive set pieces are sure to wow. We’ve been to three shows at the Metropolitan Opera enjoying Carmen, Contes D’Hoffman, and The Magic Flute. It’s the perfect opportunity to put on formal wear and enjoy dinner at The Grand Tier before the show. 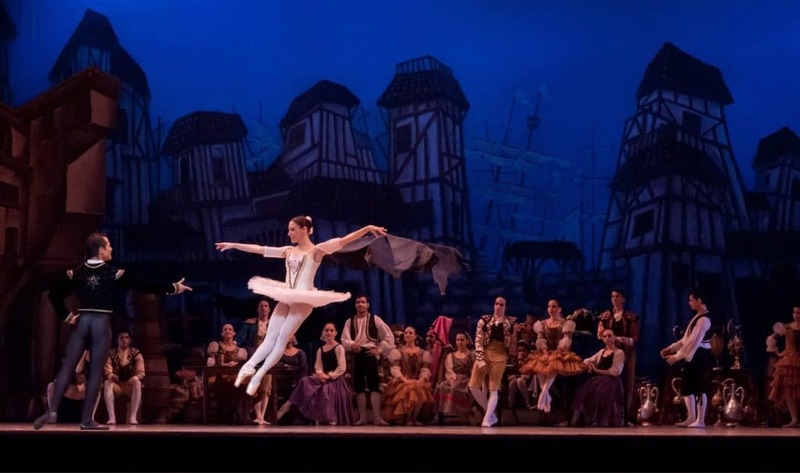 At the David H. Koch Theater, the New York City Ballet dancers will leave you speechless with their exquisite moves. We loved spending time at the Lincoln Center and in our last six months in New York, we attended two Ballets. If you have not been to the opera please do not write it off. It’s a wonderful chance to get dressed up, have a fantastic meal, and experience a brilliant art that can move and transform you. In my opinion, it’s the best thing to do in NYC at night for couples. Certainly better than a night in the clubs! A free and easy thing you can do in New York City is to check out the Socrates Sculpture Park. Socrates Sculpture Park is an outdoor museum and public park in Astoria, Queens where artists create and exhibit sculptures and amazing multi-media installations. The park is open 365 days a year and is well worth a couple of hours of exploration with a coffee in hand. On a nice Fall day, our favorite season in NYC, it’s tough to beat a stroll through the park before heading for a good meal in Astoria. Next, to Japan, New York City has some of the best sushi in the world. When we lived in New York, we made it a regular ritual to explore sushi institutions in New York. These fine dining restaurants serve up a signature style of sushi called Omakase. It is a chef-selected meal in which the head sushi chefs curates the best of what’s available in the markets every day and serves you piece by piece. The experience is intimate and relaxing as you dive into the beautiful intricacies of a dish that can be composed of two ingredients. The fish served in the sushi restaurants is curated from all over the world, and utilizes the New Fulton Fish Market, which is the second largest fish market in the world. If there is one negative to this experience it’s the price, sushi is not cheap. 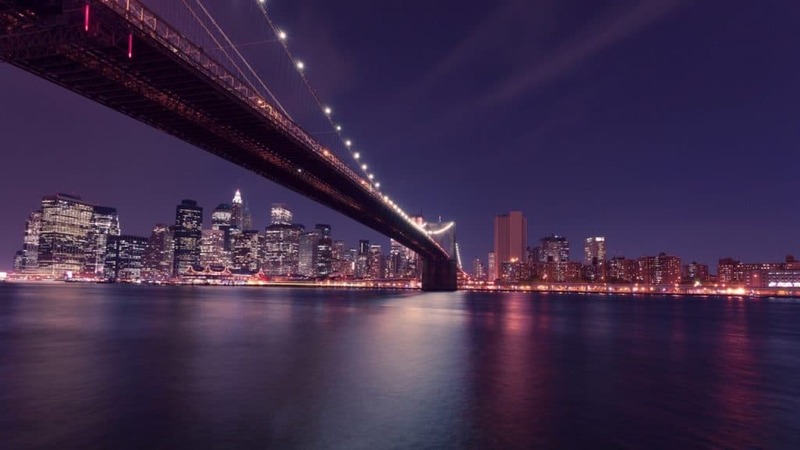 There are a few iconic New York landmarks that everyone should experience and Brooklyn Bridge is undeniably one of them. It’s the one landmark you can find both tourist and locals alike enjoying a beautiful day. The Brooklyn Bridge is one of the oldest bridges in the United States, and at 1,595 feet it’s no short distance to cross. Just be warned walking the bridge in bad weather or the winter can be pretty unpleasant! Some of the best weather in New York City comes in the fall and it’s the perfect time to visit New York City t0 walk over the East River. This walk is one of the best things for couples to do in NYC. It’s impossible to not love Central Park. The park is an oasis for residents and visitors in one of the most densely populated cities in the world. Frederick Law Olmsted was a pioneer in landscape design and played a vital role in conservation in the United States. His style of design changed parks and grounds forever as he chooses to design parks around landscapes that are meant to age with time. He broke the mold of straight paths and manicured garden beds and responsible for what Central Park is to this day. Central Park stretches between 59th Street and 110th Street making up the center of Fifth Avenue and Central Park West. Just coming to spend a day outside in New York is reason enough to come to Central Park, but there is almost always something on offer. Beach volleyball, paddle boarding, carriage rides, running the loop, Shakespeare, giant water fights, and concerts in the park are all fun ways to spend a day! Of course one of the most romantic things to do in New York City is to have a picnic in one of the many quiets spots within the park. Harlem used to mean scary and dangerous, but lately, Harlem has faced gentrification and new wealth in the metropolis. We used to make our way to 114 street all the time to check our new restaurants and bars. One of our favorite things to do here together was to enjoy a jazz show. Harlem has countless clubs to enjoy a live jazz show at, but one of our favorites is Bill’s Place, a speakeasy that has been around since the days of prohibition in the 1920s. Make a romantic evening here with dinner, cocktails, and a show. If you don’t feel like traveling all the way uptown there are many venues all over the city. I know it sounds cliche, but if you are into the arts and want to see some of the best actors and actresses in the world then you will have to see a show on or off Broadway. The TKTS Booth is a great place to last-minute tickets for shows around New York. Don’t expect to catch the most popular shows as they can sell out months in advance. 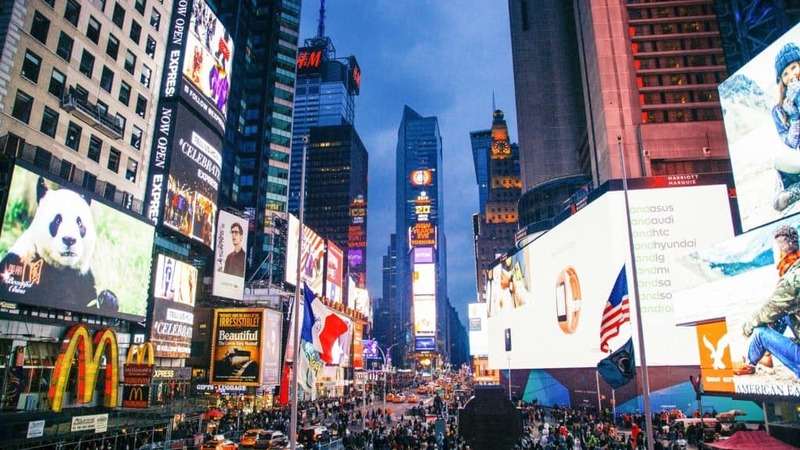 However, there are other ways to find cheap Broadway tickets, such as discounted tickets for the day of shows at four locations: Times Square, South Street Seaport, Downtown Brooklyn, and the Lincoln Center. I would recommend avoiding the Times Square location as there is usually a long line. It’s true that there is not much green space in Manhattan. That’s why in 2009 the High Line was formed on the old New York Central Railroad platform on the west side of Manhattan. The High Line is a one and half a mile long elevated park where you can walk with your loved one and enjoy the wonderful outdoors in New York City. It’s perfect for a romantic date on a nice day. There’s also some great food, a coffee shop, and even a little bar along the walkway making it a great place to come for lunch. From the High Line, we suggest you head to the new Whitney location or check out the Chelsea Market. We love oysters and you can pick up some fresh ones at the Cull & Pistol oyster bar inside the market. During the prohibition days in the United States, a “speakeasy” was the term used for the illicit drinking houses used to serve booze in hiding when it wasn’t allowed. They usually had no signs, hidden doors were small, and were often by invitation only. Nowadays, speakeasies are hip establishments that serve up craft cocktails in an imitate the atmosphere. Speakeasy bars are popular in big cities around the world and New York City may be the epicenter of the craze. If you’re in the mood for a romantic trip back in time with some great cocktails then head to one of New York’s many establishments. Two great ones to check out are Attaboy and Dinner table! Sip on cocktails amongst the rooftops and enjoy views of the New York’s skyline. When it’s good weather New York springs to life with al fresco dining, picnics, markets, festivals, and rooftop bars. There is a wide range of rooftop bars in New York all offering their own atmosphere. You don’t need to take our word for the best rooftop bar because Timeout has been to them all and breaks down the best bars for romance or a night out. We’d suggest you check out Gallow Green and partake in the famed Sleep No More performance. The rooftop bar takes on the atmosphere of an old garden party and actors from the play intermix with guests while in character. It’s a one of a kind romantic experience and something that can only be found in New York City. The Cloisters is a museum specializing in Medieval history, located at the top of Manhattan on 190th street in Washington Heights. It’s a great place to enjoy nature along the Hudson if medieval architecture is your thing! Personally, we found the museum to be boring. The dark ages were truly a dark period for art… However, the architecture and surrounding grounds make for an excellent escape from the city. Take a run or bike ride along the west side greenway up the Cloisters. The Metropolitan Museum of Art is one of the finest museums in the world. If you’re into art this can be one of the best things to do in NYC with the boyfriend or girlfriend. There are a handful of museums everyone in the world should visit, and the MET easily tops the list. It’s a massive collection of art from all over the globe from various time periods. Just be warned the museum is massive and it would take hours to see it all at once, so be prepared to just see a section. The Met is located on the Upper East Side on the edge of Central Park. The Met is included in the CityPass! We’ve stomped around in safari attire for over 100 days in the African bush. So, it’s safe to say we’re not big fans of seeing animals in enclosures or zoos in general. However, we know that not everyone can travel to Africa and some zoos do important work in conservation. The Bronx Zoo is one of the few that is an exceptional example of a zoo. It also happens to be the largest zoo in the United States and it makes for a romantic day together. The zoo does great work with conservation and frequently rescues and rehabilitates endangered species that are found throughout the globe. If you want a romantic anniversary idea in NYC why not consider strolling through a garden? I know that everyone raves about the Brooklyn Botanical Gardens, but after spending time in both the New York Botanical Gardens and Brooklyn Botanical Gardens I personally think the New York is better. The New York Botanical Gardens are indeed located in the Bronx, but because of their location, the gardens get much less packed than their neighbors in Brooklyn. 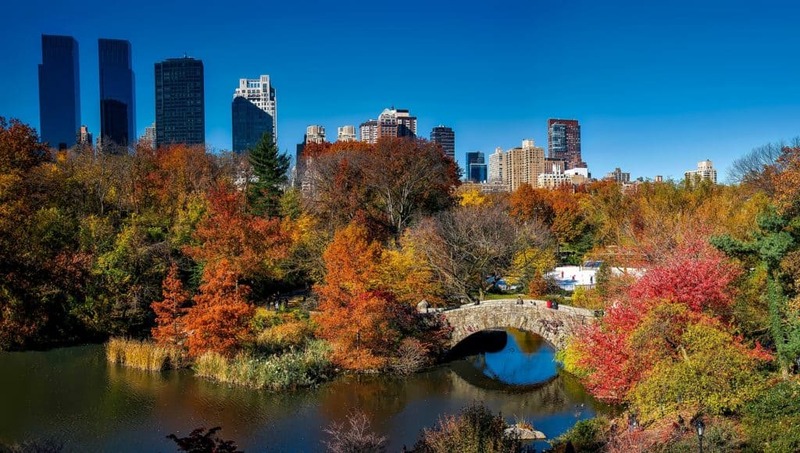 The NY Botanical Gardens are the largest in the US and are recognized as one of the greatest historical areas in New York. There are hundreds, if not thousands of workout studios and gyms in New York. When we lived in NYC we would regularly try different classes around the city. Anything from boot camps, to spin class, to Crossfit classes. Why not take a break from the touristy things in New York and get active with a unique workout class? You can find them at any day and every hour in every neighborhood. Or you can try your hand together at activities like stand up paddle boarding, bouldering, or trampolean fitness. Do you know your ancestry and where you came from? Enjoy your loved one’s company and take the ferry out to Ellis Island for the day! Ellis Island was the gateway for entry into the United States and it is estimated that over 12 million people came through here between the late 1800s and 1950s. Ellis Island is open every day of the year besides Christmas and can be reached via ferry from either the Battery Park or Liberty State Park. I would suggest allocating at least three hours for the trip. Save money doing this with the Explorer Pass! I may be biased because we used to live in the Riverdale, but Wave Hill in the Bronx is nothing short of amazing. For a nice, sunny day outside in New York City, we would always escape to Wave Hill where the crowds are low. When Cameron and I were looking for something romantic to do during the day we’d grab some cold brew coffees and head to Wave Hill to enjoy the views over the Hudson River. If you’re looking for a fun and free romantic thing to do in NYC in the winter look to Grand Central Station. I know people watching may sound boring, but when you people watch at a terminal that 750,000 people visit daily it’s bound to pass the time in a fun way! Not to mention Grand Central is over a century old and quite an impressive sight to see with its 44 tracks. If you’re already visiting Times Square you may as well walk the three avenues over here as well! Although it is the greatest city on earth that doesn’t mean you should never leave! One of the most romantic things to do in NYC is to explore the surrounding area. The Hudson Valley is a beautiful region of The United States. It’s filled with wonderful B&Bs, apple picking, museums, and farm to table restaurants. It’s also home to the Storm King Art Center, probably one of the coolest outdoor art exhibits in the world. What to pack for NYC? A comfortable pair of shoes for both men and women are essential when packing your bag for NYC. However, I wouldn’t recommend packing those terrible clunky hiking shoes or athletic shoes many tourists like to bring. You’ll stand out like a sore thumb in New York. The key is to pack shoes that you can walk in for extended amounts of time, but taking note of the style of them. Remember black is always in New York. See my favorite walking shoes for women and men here. You’ll likely end up in a nice restaurant or two if you’re looking to do all the romantic things in NYC. Men should pack at least one or two dress shirts and a pair of chinos for the city. Stick with a classic color like blue or white that will never go out of style. I recently ordered a new selection of shirts and ties from the Tie Bar. All stylish, nice quality, and affordable. Plus their online website makes it easy to order a new wardrobe with suggestions for what matches and inspirations for outfits. Traveling with fresh water in hand is important as it is easy to get dehydrated when out. We like to use insulated stainless steel water bottles because they are well insulated and great for the environment reducing plastic waste. New York City tap water is some of the highest quality in all of America, and there is really no point in buying bottled water here. You’ll need something to stash your photography gear, hand sanitizers, papers, phones, and anything else that you need for a full day out when traveling.Saddleback Leather makes some of the best quality backpacks – hands down and fantastic for walking around NYC. They aren’t cheap by any means, but they are quality. We don’t travel without travel insurance and neither should you. You never know what can happen when you travel and it’s best to be prepared. World Nomads provides good short term coverage. When it comes to New York City hotels it’s easy for the romance to fizzle. The vast majority of hotels are mega hotels with hundreds of tiny rooms. We’ve been in and out of many different hotels in the city and without fail we’re almost always disappointed with room/service to value. However, when it came to The Chatwal Hotel we found the perfect romantic escape in the city. The Chatwal is a part of the Luxury Collection owned by Starwood Hotels, but it operates totally independent from any other Starwood hotel in the city. 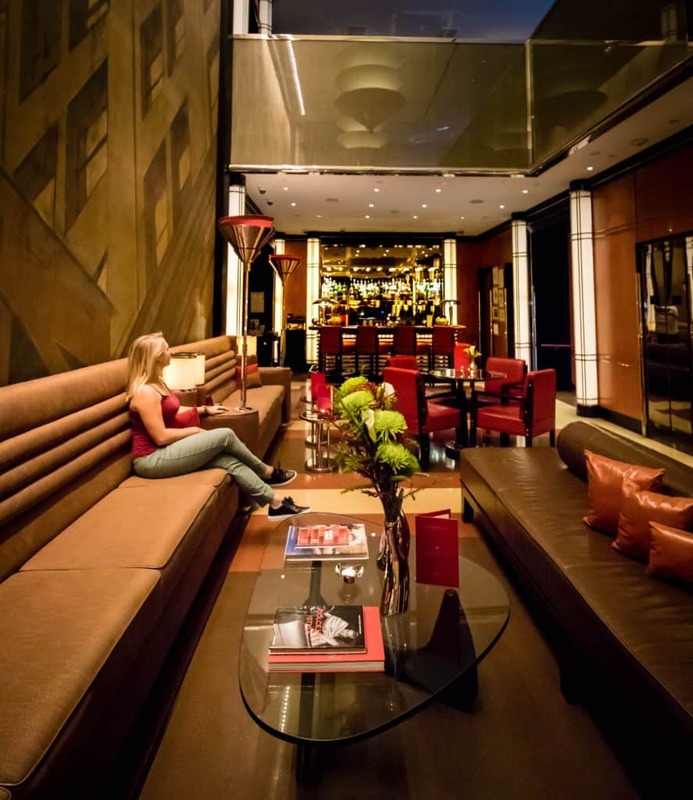 It’s a 76 room boutique hotel that is right in the center of Midtown, something of a rarity. It’s high on charm and low on the standardized formula of hotels. When it comes to romance no one wants to feel like a number, but when we stayed at the Chatwal we were surprised to find the staff remembered our names and were quick to help. Rooms here are glamorous and do an amazing job at blending the elements of classic New York with modern hotel amenities. Stainless steel, wood, leather, and furniture that looks as if it were from the mid 20th-century blends seamlessly with Japanese toilets, hidden televisions, and iPad controlled rooms. Airbnb is also a great option for accommodation in New York! 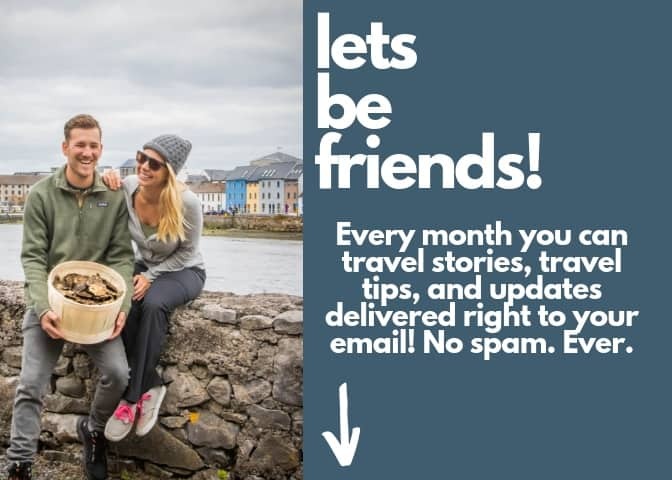 Check out some tips and read more about getting an Airbnb coupon code here. Should you get a CityPass? The New York City Pass is great if you want to see multiple tourist sites around New York. Entrance is included to the Empire State Building, American Museum of Natural History, The Metropolitan Museum of Art, Top of the Rock Observation Deck, Guggenheim Museum, Ferry Access to Statue of Liberty and Ellis Island, Circle Line Sightseeing Cruises, 9/11 Memorial & Museum, and the Intrepid Sea, Air & Space Museum. It can save you some serious money if you are planning to visit at least three or more of these sites. Once activated upon first use the City Pass is good for nine consecutive days so you never have to feel rushed. 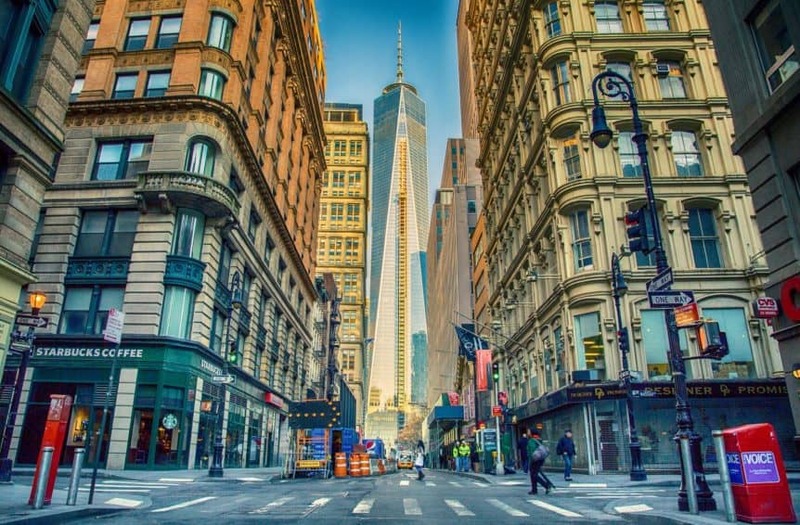 You can get your City Pass before your visit to New York City here! What is the best way to get to New York City? New York City is serviced by three international airports. John F. Kennedy International Airport (JFK), LaGuardia Airport (LGA), and Newark Liberty International Airport (EWR). If you have the option I would recommend flying into JFK or LGA as EWR is in New Jersey and will take more work and time to get into the Big Apple. JFK is in Queens and has the Airtrain which will connect you to the MTA system for $5. Once there you can easily navigate your way to where you need to go into the city. LGA is the smallest of the airports but the closet to Manhattan. The easiest and cheapest way into NYC from LGA is via the public bus which can connect you to the subway. You can also use the private bus companies for about $15 a person and a taxi for around $40. If you arriving into EWR you can take the Airtrain Newark to the Newark Airport Rail station ($5.50) and hop on the NJ Transit train ($13) to New York Penn Station. Once in the city, the best (and my favorite) way to get around is the subway. Yes, it is dirty and loud and over 100 years old but in my opinion, you haven’t seen New York until you have navigated your way around the underground world. The subway is always full of interesting characters so you’re bound to be entertained at least once. MTA tickets are $2.75 a ride. You can also take the bus, but I personally would rather walk to most places. The only other viable option to get around is to hail a cab, Uber, or Lyft. Don’t attempt to rent a car and drive through Manhattan unless you are comfortable with crowds, crazy drivers, and don’t suffer from anxiety. If you are only staying in Queens, Brooklyn, the Bronx, or Long Island a rental car can be a good option – just not in Manhattan. If you only want a car for a short period of time check out Zipcar. Zipcar is a car sharing platform that operates in big cities. Essentially it is on-demand access to drive cars by the hour or the day in New York. Here is $25 off! If you’re traveling to New York City it’s best to accept that you will be walking a lot so bring a good pair of shoes.